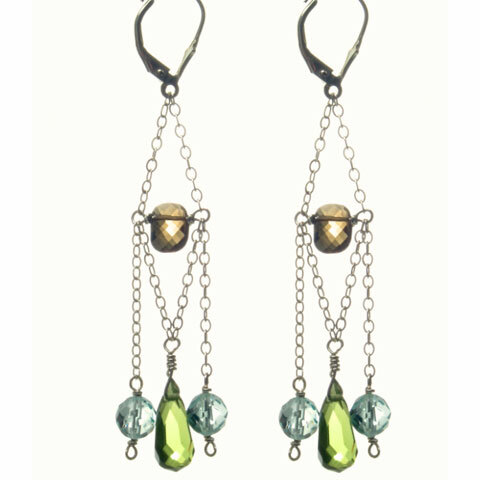 Peridot, Blue Topaz and Smoky Quartz stones dangle from sterling chains . These luminous stones lie in elegant harmony evoking rays light and sparkling water while you glisten. Secure sterling lever back closure.